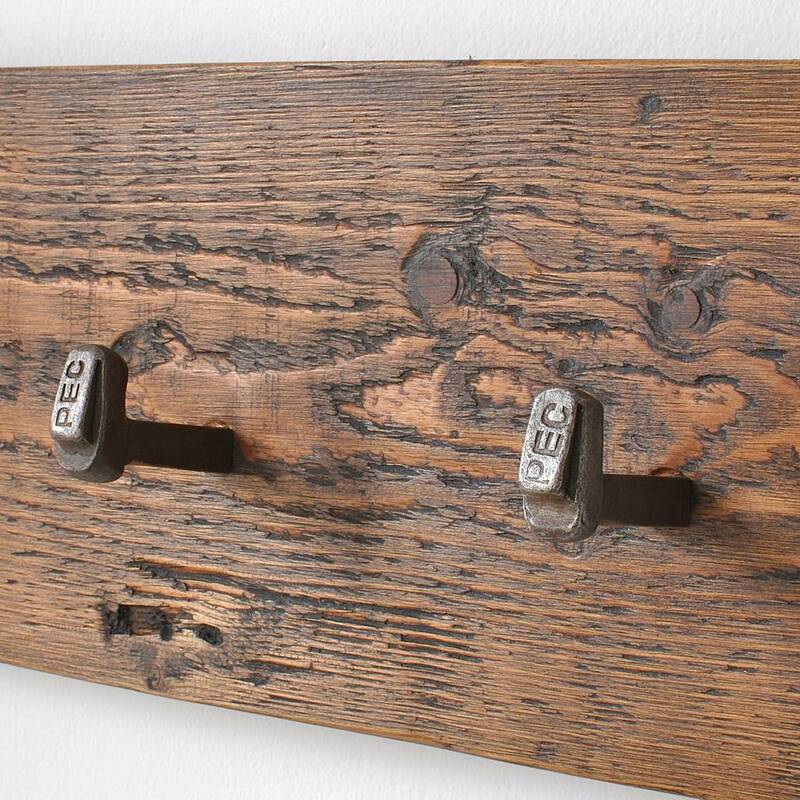 An industrial inspired cast iron railroad peg coat hook. 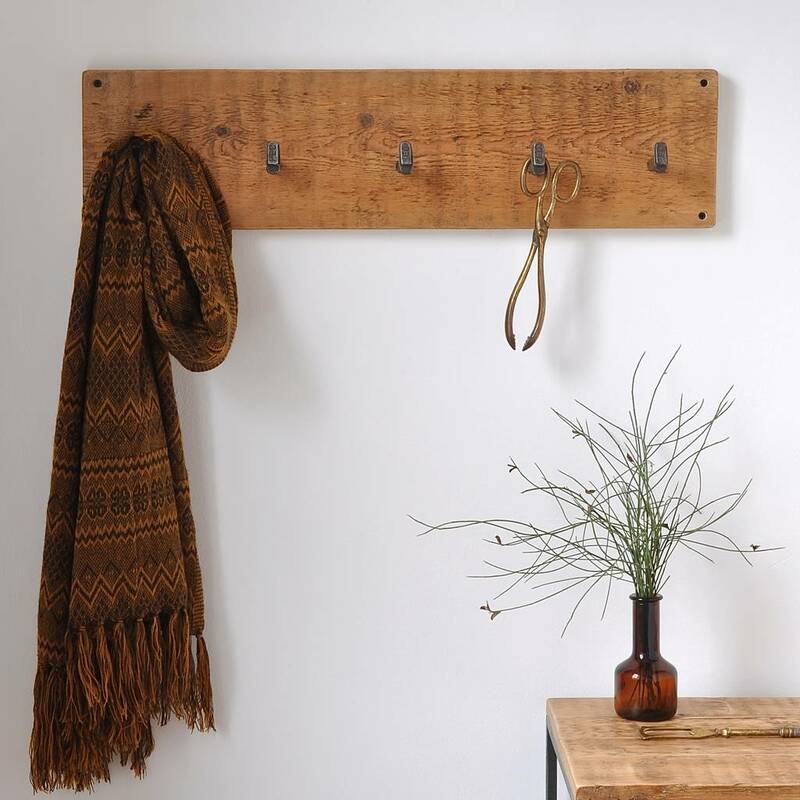 The Railroad peg hook is perfect for hanging everything from coats, hats and even large bathroom towels. 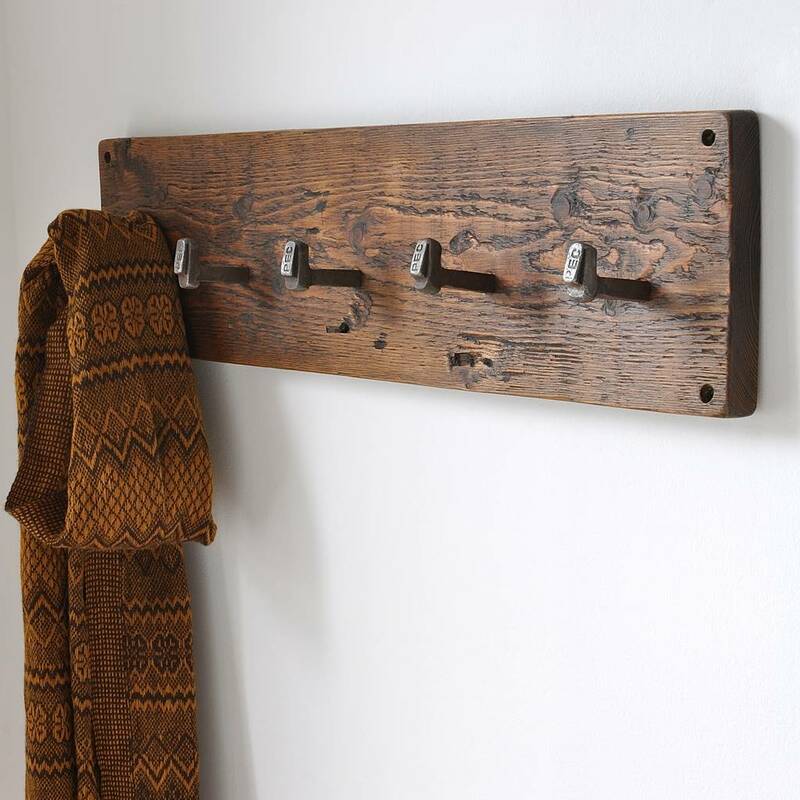 Handcrafted in our Devon workshop using reclaimed wood salvaged from the UK. Lightly sanded to keep its natural charm. 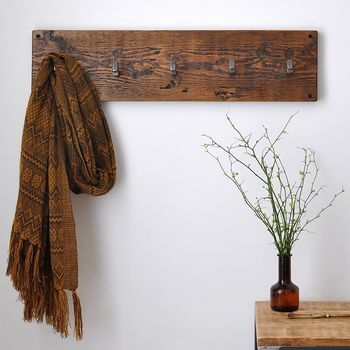 This rustic wall mounted coat hook would add character in any room in the house. Our reclaimed wooden hooks are lovingly made to order. Suitable for wall hanging with four pre-drilled holes. Wall fittings not included. Please do contact us if you have any specific measurements and we will be happy to make you a bespoke coathook. 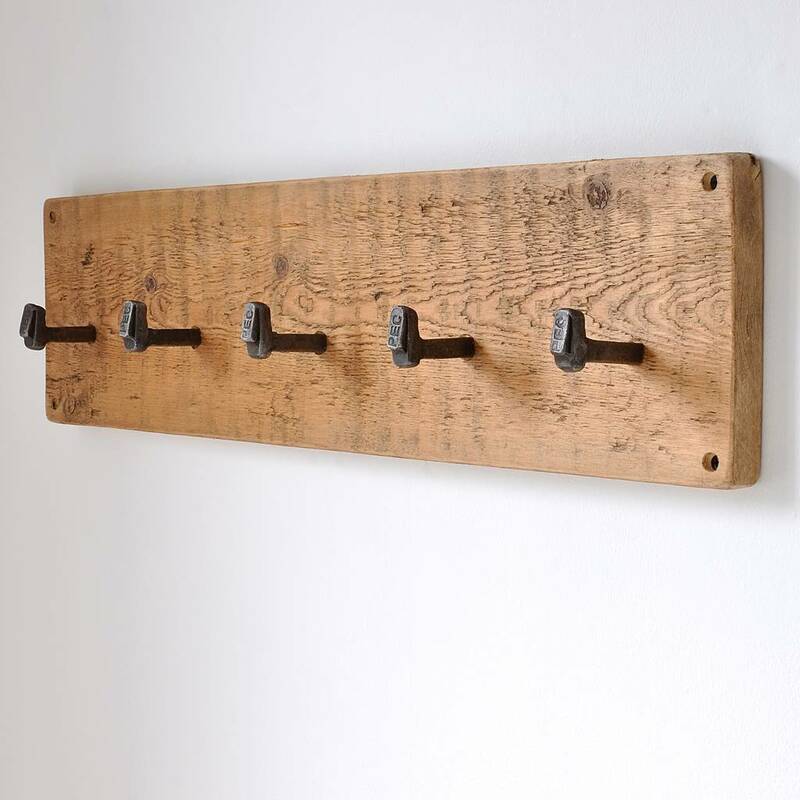 This coat hook is available in a 3, 4, 5, 6, 7 and 8 hook option. Reclaimed wood, collected in the UK. Hooks are made from cast iron. 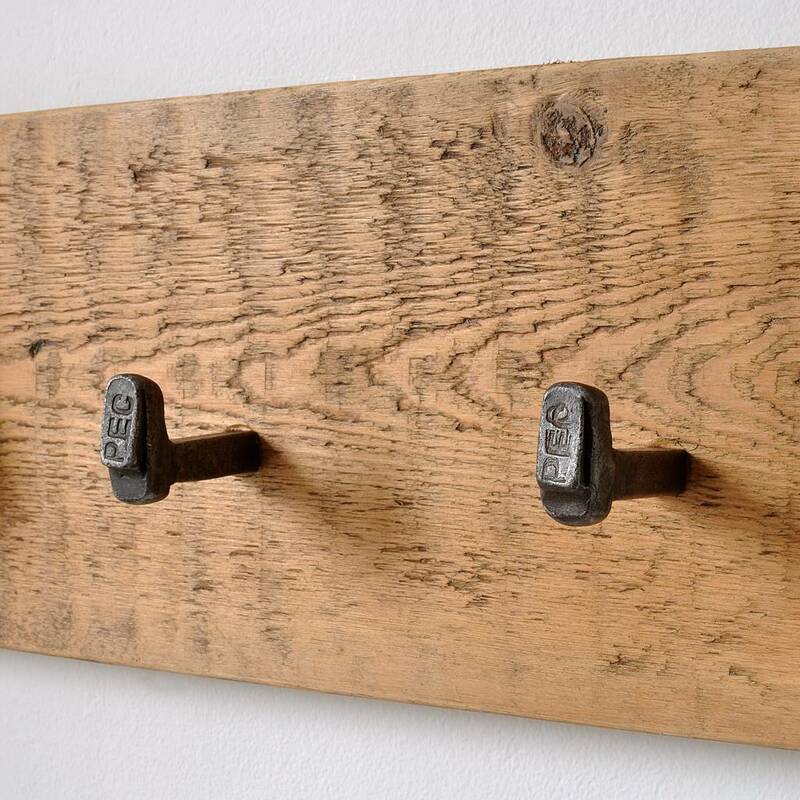 Please note due to the reclaimed nature of the wood, the coat hook will contain imperfections, small cracks, and nail holes (but on occasion only) We will only select wood that will be suitable for use.